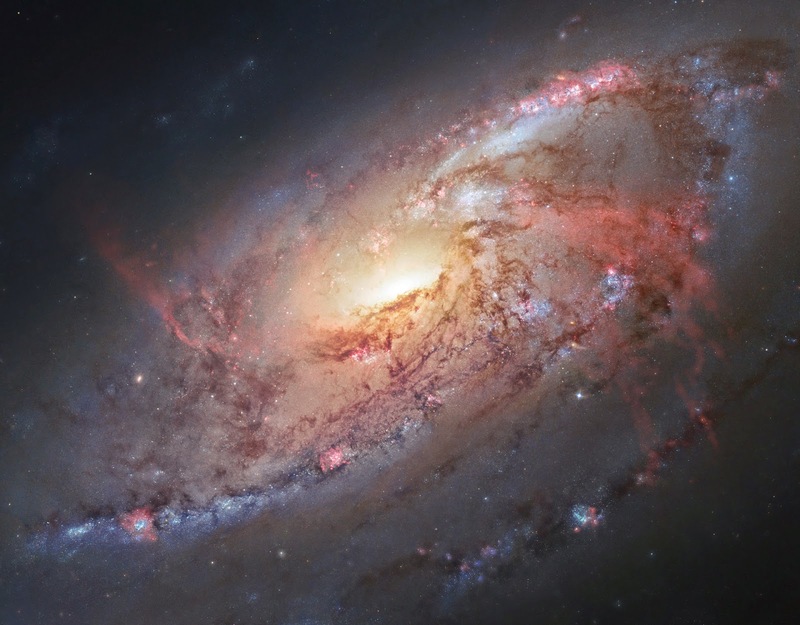 Above image combines Hubble Space Telescope observations of Messier 106 with added info took by amateur stargazers Robert Gendler and Jay GaBany. Gendler joined Hubble data with his own observations to create this spectacular color image. Situated a little over 20 million light-years away from Earth, nearly a neighbor by cosmic criteria, Messier 106 is one of the many brightest and adjacent spiral galaxies to our own Milky Way.